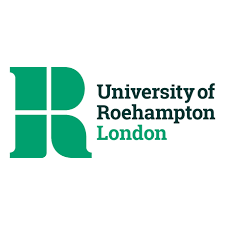 University of Roehampton, London, are looking for a Lecturer/ Senior Lecturer in Technical Theatre to join our Drama, Theatre and Performance department. The postholder will be responsible for designing and teaching the Technical Theatre Modules on the Department’s new programme in Theatre Practices and Production, having day-to-day oversight of the Department’s technical operations and providing technical assistance to student and staff practical work, alongside the Department’s Sound, Lighting and Design technicians. They will also be expected to coordinate the Department’s annual Summer Festival of assessed performances. The University is looking for an experienced teacher with a sound working knowledge of the theory and practice of technical theatre in HE and professional theatre environments. They will have knowledge, skills and enthusiasm to support creative research and practice at Undergraduate and Postgraduate Levels and will be a good communicator with a proven ability to negotiate the complex schedules and demands of a busy department. This is an exciting time for the University; our new £35m state-of-the art library has just opened and we are continuing to develop a number of external partnerships across the globe.